In 2017, the River Park JPA received a generous donation that sparked the acquisition of a key 6.4 acre inholding in the Sycamore Creek Preserve behind the River Park headquarters in Poway. The parcel was a former home site that burned in the 2007 Witch Creek Fire that could have been redeveloped right in the middle of the preserve. The JPA Board of Directors approved the acquisition with financing and the caveat that JPA staff seek more donations and grants to complete the purchase. Last year, the JPA received another generous donation from Citizens Advisory Committee Chairman, Jeff Barnouw. And now, with the latest very generous gift from Chris Khoury and Linda Corey, the remaining loan is down to $144,000, thereby helping the JPA payoff the loan earlier and ensure this property is protected forever. Chris and Linda are long-time River Park supporters, with Chris serving on the San Dieguito River Valley Conservancy board for many years and both Chris and Linda founding the Exploring our Sense of Place program in the River Park. 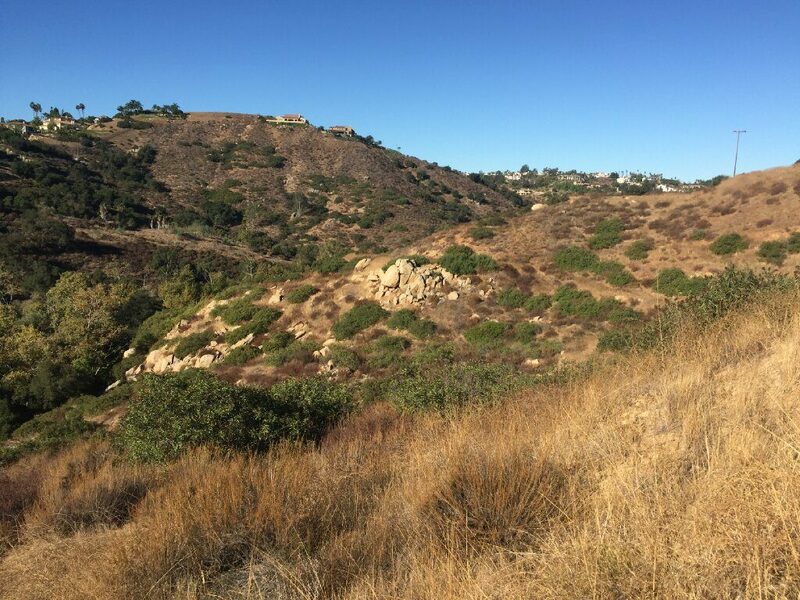 If you’d like to learn more about this property and how to help the JPA protect it as part of its 150 acre Sycamore Creek Preserve, contact Kevin McKernan at 858.674.2270. Thank you Chris and Linda!